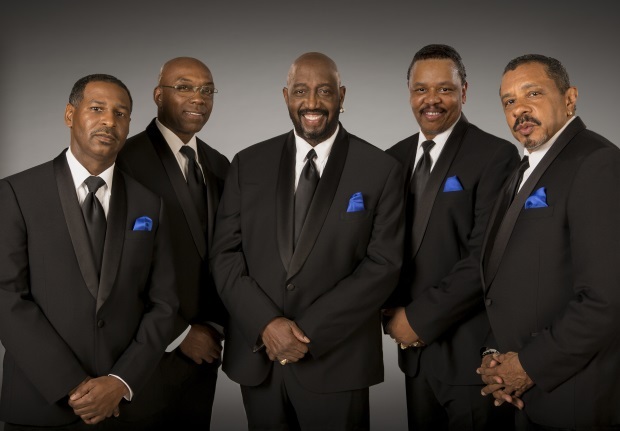 (Washington DC - June 12, 2018) Legendary Motown stars The Temptations will be performing live at PBS’ annual broadcast of A CAPITOL FOURTH, which airs on Wednesday, July 4, 2018 from 8:00 to 9:30 p.m. ET. This star-studded show will be airing live from the West Lawn of the U.S. Capitol. This 38 year-tradition is the country’s longest-running live national July 4 TV tradition and it puts viewers front and center for America’s biggest birthday party with the greatest display of fireworks anywhere in the nation, lighting up the iconic D.C. skyline. The concert also pays tribute to our troops serving around the world, their families, and all those who have made the ultimate sacrifice, fighting for our freedom. This TV tradition will be hosted by Emmy Award-nominated actor and producer John Stamos (FULLER HOUSE, SCREAM QUEENS) and will feature all-star musical performances by: multi-platinum selling music legend Jimmy Buffett with the Broadway cast of the new musical ESCAPE TO MARGARITAVILLE, making their first stop after Broadway at the U.S. Capitol before launching a national tour; ‘America’s Band,” the iconic multi-platinum selling music legends The Beach Boys; acclaimed multi-platinum country music singer-songwriter and winner of the iHeartRadio Music Award for Best New Country Artist Luke Combs; country music star and AMERICAN IDOL alum Lauren Alaina; 12-time Grammy Award-winner and gospel legend CeCe Winans; and internationally acclaimed Grammy award winning violinist Joshua Bell; with the National Symphony Orchestra under the direction of top pops conductor Jack Everly. Additional performers are to be announced. The program can also be heard live in stereo over NPR member stations nationwide. The concert will also be live-streamed on PBS, You Tube, Facebook and www.pbs.org/a-capitol-fourth and available as Video on Demand for a limited time only, July 4 to July 18, 2018.